Miss Universe is being hosted in Russia for the very first time this year. It's nice to see Miss Universe being hosted somewhere else even though the pageant has lost a lot of it's glamor. The activities seem to be done on a shoestring budget, but they do have one of the best stages in recent years. I do hope that the Miss Universe Organization will start to rethink they way they do business. There are almost no more prizes that are really worthwhile and I think they really need to make the prize package a bit more lucrative again. I think they the organization needs to move away from the cheap thrills sleazy publicity angel and start building the image of the brand again. Anne-Julia is a classic German beauty and it was great to see her represent her country at Miss Universe. I expected a lot from her but I do think she looked quite short. She did well in the preliminaries but I was not a fan of her styling. With a little more time to prepare for Miss Universe, she might have had a real shot at placing. I did not really take any notice of Hanniel until the preliminaries. I pretty much wrote her off as just one of the fillers but to be honest, I was really impressed when I saw her preliminary performance. She looked great glammed up and worked the stage. Will it be enough? I don’t think so. But she was fighting. Anastasia has a really pretty face and looked really lovely in the preliminaries. I actually think she represented her country really well. I don’t think she’s quite strong enough to place but she was definitely a worthy delegate. I was very positively surprised by Alixes. When she was crowned, I thought she would be one of the weakest links at this year’s pageant. Upon arrival, I actually realized that she’s much better than I anticipated. I think she worked hard on her styling and preparation and it showed. I feel the same about her as I do about Miss El Salvador. She is pretty enough to make an impact but this she didn’t quite stand out as much as is needed at a pageant of this caliber. At a smaller international pageant, she might have a much better shot. Katherine has a really beautiful face and most gorgeous hair. Her major weakness is her body but with her gorgeous face, she does make a pretty picture. 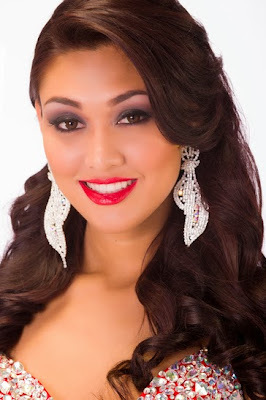 Guyana can feel very proud of her. Mondiana was absolutely fierce in the preliminaries. She blew me away. I had my eye on her and I just think she delivered when it matter. 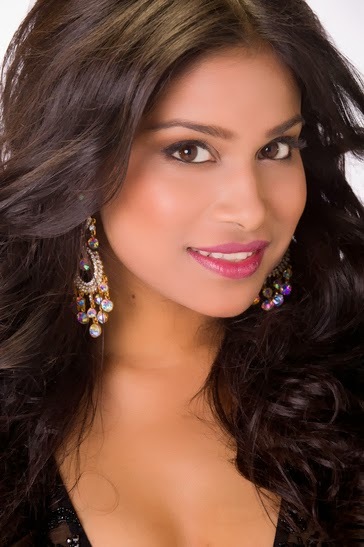 Her resemblance to Leila Lopes, Miss Universe 2011, is something that might work against her. But in all fairness, she deserves to go far in this competition. She’s absolutely stunning!!! Miss Honduras’ name instantly lets you think of Miss Universe 2008, Dayana Mendoza. However, I don’t think we will see her emulate the latter’s performance at Miss Universe. She is a good-looking girl but unfortunately not really a stand-out. Rebeka is really cute. She has this girl-next-door look that the Miss Universe Organization sometimes rewards. She also has a rocking body and performed really well in the swimsuit competition. I wasn’t the greatest fan of her styling in the evening gown round. But there’s a very real possibility that she could be one of the top 15.